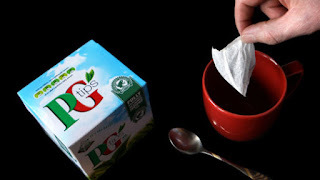 Unilever is shifting scores of UK-based jobs to the Netherlands as part of a plan to create a new global headquarters for brands such as PG Tips and Magnum ice cream. Sky News has learnt that the Anglo-Dutch consumer goods giant, which saw off a £115bn takeover bid from Kraft Heinz this year, has begun a consultation with approximately 140 of its UK workers about the relocation of their roles. The jobs being moved represent a small fraction of Unilever's ‎British workforce of more than 7,000, but the news will nevertheless attract interest because of the extent to which issues such as job security were raised during Kraft Heinz's brief interest in a deal. Sources close to the FTSE-100 company‎ pointed out that the combination of its food and refreshment units had been announced in April when it set out plans to improve profitability and returns to shareholders. While it had signalled its intention to base the newly merged unit in Rotterdam, however, Unilever h‎as not publicly disclosed plans to relocate more than 100 jobs from the UK. The decision is unrelated to Brexit, sources said, but is being driven by chief executive Paul Polman's desire to accelerate efforts to make Unilever's business more efficient. The headquarters of the company's home and personal care business, which includes Persil and Lynx, will remain in the UK. The food and refreshments merger, which will unite brands such as Marmite and Lipton tea under one management team, comes as Unilever runs a £6bn auction of its international spreads business. A number of private equity consortia plan to submit offers later this month. One pairing, of Bain Capital and Clayton Dubilier & Rice, has lined up Matthew Hill, a former Unilever executive, to work on its offer.